Picturesque Mediterranean fishing boats in la Costa Brava, Girona. 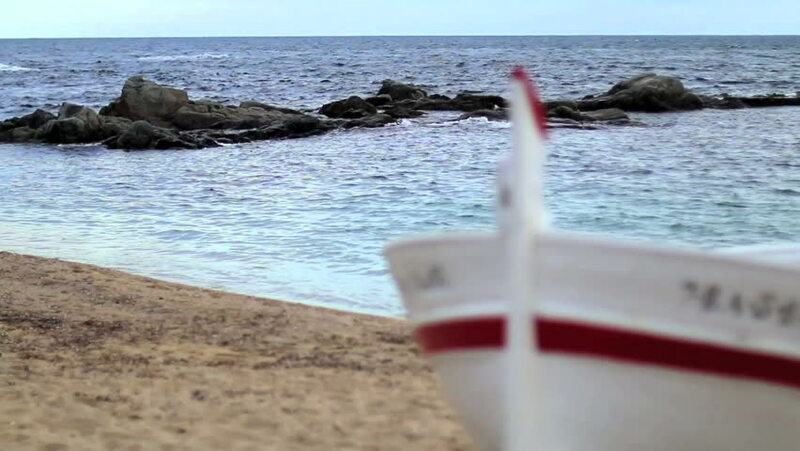 Typical Mediterranean landscape wooden boat and pristine beaches in winter. Picturesque fishing boat on the beach. hd00:25Foamy Waves Hit Sandy Beach. Cloudy and Windy Day in Thailand. Koh Samui. Gulf of Siam. 4k00:10Aproaching sailboat from the air. Switzerland Drone DJI Phantom 4 4K - 24fps - 10 sec.